Located in the heart of downtown Iowa City, the Bread Garden Market is the anchor store of this University town’s pedestrian mall. The only thing that beats the Market’s location is the people who meet you there. The energy here is unparalleled in Iowa City. Everyone is welcome, and everyone always comes back. Under one roof, you’ll find a full-service grocery store, coffee bar, deli, and chef-inspired breakfast, lunch, and dinner restaurant that will fulfill your culinary dreams. Oh, and there is a wine and craft-beer bar! We love being host to Iowa City’s diverse community, and we love delivering our culinary dreams as one of the area’s top caterers… ready to pounce at ANY size event. It’s always fresh, always homemade. Tell your friends to Meet Me At The Market! It’s not called the Bread Garden Market by accident, and there is no flavor combination too adventurous for our fresh baked artisan breads. Pan loaves, brioche buns, Italian baguettes, it’s all here! What’s ours is yours, and your pastries and cookies are made daily by culinary trained pastry chefs and prepared with the highest quality ingredients. Wake up Iowa City! Every day needs a fresh start and your daily journey begins right here at the Market. 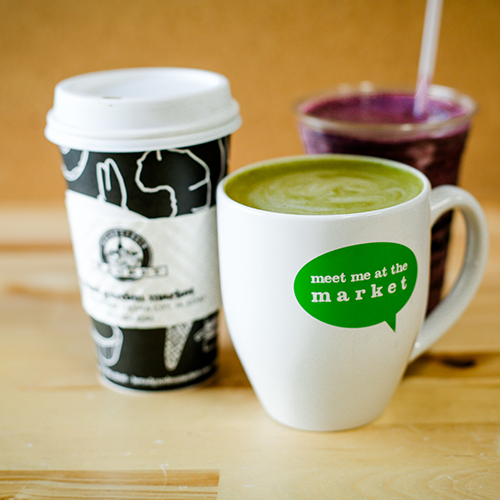 Our trained baristas serve organic coffee and a wide selection of all-natural smoothies made with real ingredients. We have homemade pastries and desserts, and offer over 24 flavors of gelato, made right here at the Market! Looking for a weekend destination? Our bakery fresh donuts are available every Friday, Saturday, and Sunday. We’re not snobs, but we’re no slouches either. 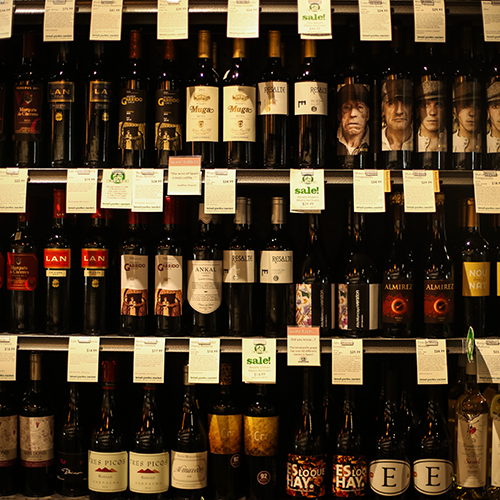 Our wine and beer selection has something for every taste and budget. With over 1,000 wines to choose from, you’ll find something bottled right here in Iowa, or from any other region in the world. Our experts never stop searching, tasting, and learning, and because of that we never stop evolving. Organic or otherwise, we can fill your wine glass… literally. All of our bottles can be opened and enjoyed on site! The BG Market Fresh Kitchen is home to Iowa City’s fastest, freshest, and fun(nest?) flavors. Just choose your favorite ingredients and watch as we create your breakfast, lunch, and dinner dreams… hot and on the spot! Breakfast options include eggs scrambles, acai bowls, and breakfast toasts. Lunch and dinner plates are filled with burgers and chicken sandwiches on homemade buns, tacos and burritos in homemade tortillas, and pizzas built on homemade crust. It’s all made with the finest ingredients. Oh yeah, your want hand-cut fries? We have those too! With cheese and bacon optional (But are they really?). Our hand-cut meats and seafood are cared for by Tom, an old-school throwback with 37 years experience preparing cuts for the stars… you! Where’s the beef?! Look no further. 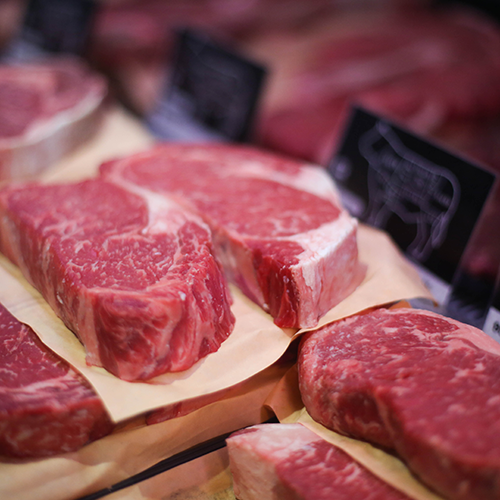 We love Certified Angus Beef, so that’s what we serve. Hand cut and trimmed, ground in-house. The other white meat? Our pork is from local Hinterland Farms, and the pig is delivered every Friday. (Tom doesn’t recommend naming the pig. It’s not here very long). Our chops, bacon, and sausage are, you guessed it, cut and ground in-house! Our fish and seafood is fresh, never frozen, and delivered twice a week to ensure we provide a premium selection for anyone to enjoy. Our full-service deli is Iowa’s City’s best kept secret for reasons beyond comprehension. 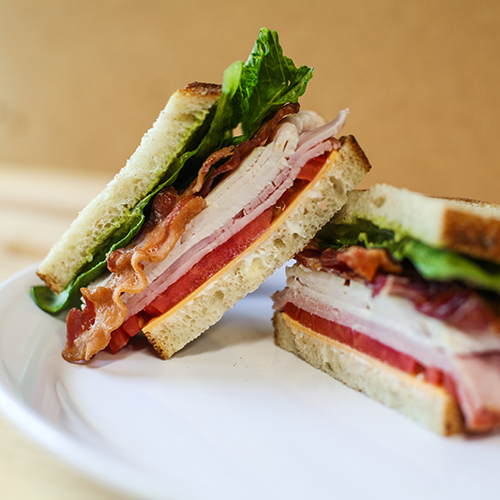 Our sandwiches are built with Boar’s Head meats and cheeses, decorated with locally grown produce, flavored with homemade condiments and spreads, and delivered on our homemade breads. Whether we custom build to your tastes, or you choose a grab-and-go sandwich, salad, or seasonal entree, the market’s mission is to satisfy. The variety will blow your mind. The freshness will blow your taste buds. Our produce department is a reflection of Iowa’s talented local farmers. We work hard to form strong relationships with farmers and suppliers to bring our guests the freshest produce available. The colors are easy on the eyes and the options are endless. There is something for every cook in the kitchen! You’ll love the flavors, which will make your mom happy. And you’ll appreciate the freshness, which will make your body happy! We have something for everyone, right here in the heart of downtown Iowa City. Our shelves are packed with the foods you love, and we know because we watch and listen to what you want to see on our shelves. We have conventional groceries with everyday staples, and a large selection of organic and gourmet essentials for the cook in your kitchen. 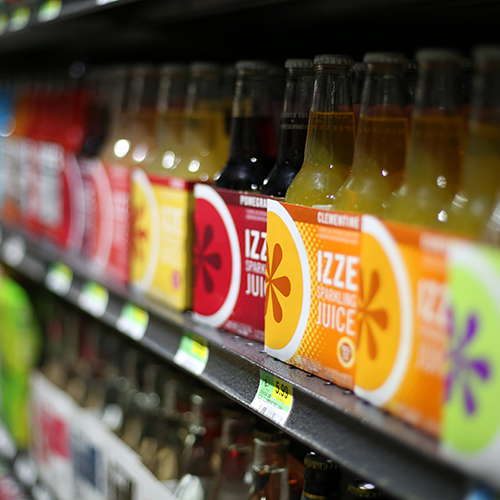 We’re inspired by you, and we want our shelves to be the first stop on your daily food adventure. Transform your pantry and your life!